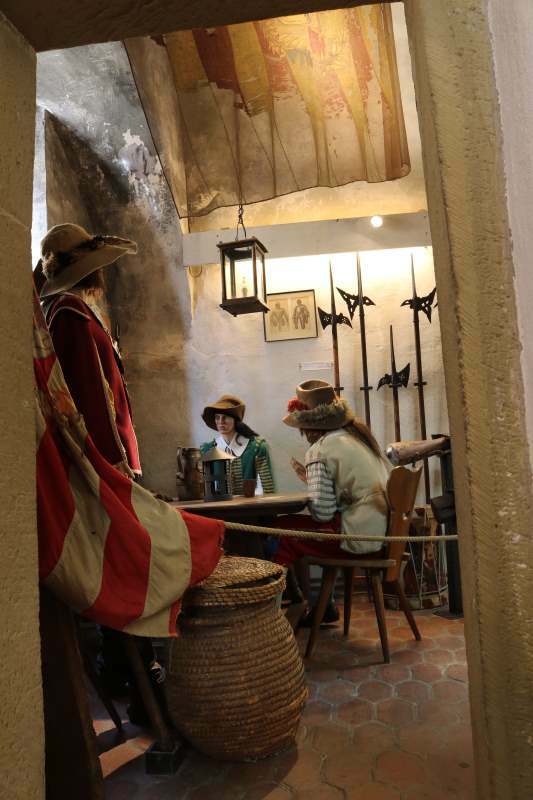 Since 1966, our small but fine museum has presented an impressive depiction of the situation of the city during the Thirty Years’ War. The focus is on u.a. 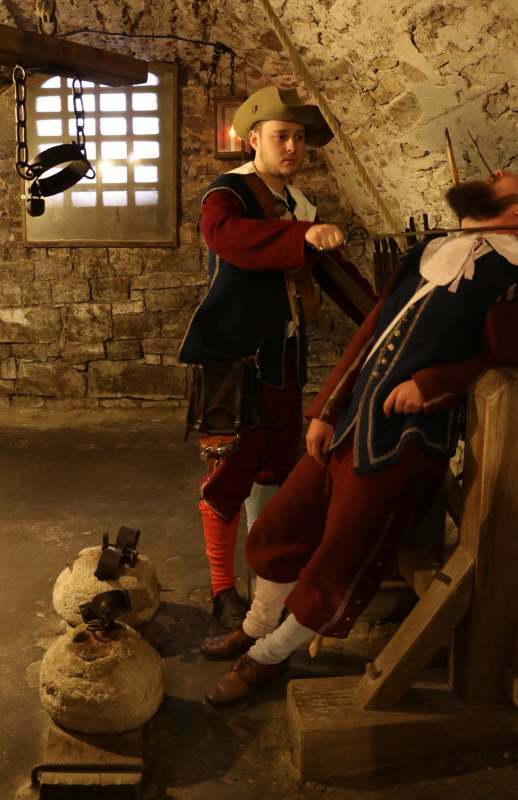 the legendary events surrounding the conquest of Rothenburg by Imperial troops in 1631.
provide interesting insights into a lansquenets guardhouse, the fortifications and military readiness of the city, weapons, guns and war equipment. 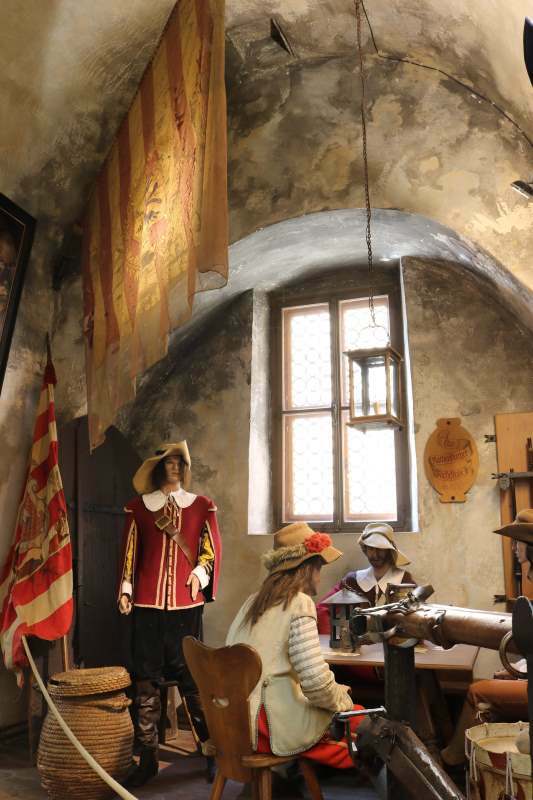 Other military equipment and original flags of the Rothenburg troops are also to be admired. Experience interesting information about General Tilly and the Catholic League, as well as about King Gustav II Adolf of Sweden and the Protestant Union. Among other things, the defense situation of Rothenburg in 1631 is shown. 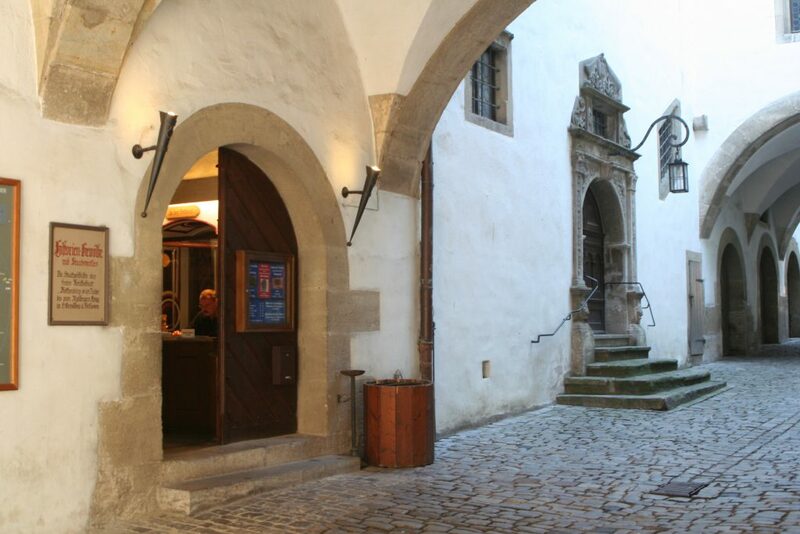 In connection with the history vaults the dungeon of the former free imperial city Rothenburg ob der Tauber can be visited below the town hall. It is considered as Rothenburg’s oldest prison. The Imperial Dungeon includes a guardhouse, a torture room and three jail cells. The prison cells give an impression of the prison conditions at that time. 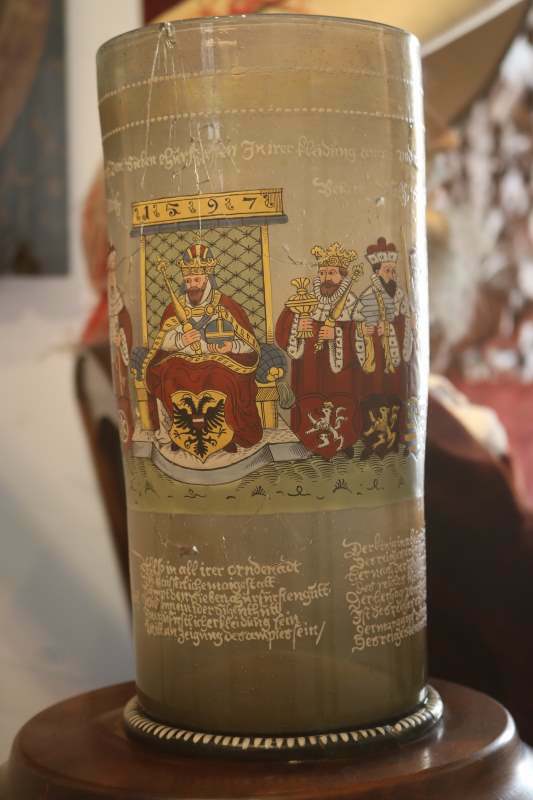 In a very vivid way, the visitor is brought closer to a piece of Rothenburg’s history. We were very satisfied. Nice museum! Tell a lot about the history of the city during the Thirty Years War. Highly Recommended! In any case, watch. Recommended.